Sicily is without any doubt a land where every single corner and destination is actually great for holidays: picture yourself lying on a white sandy beach or diving into a blue sea, as well as walking among ancient Greek ruins or on roads that were used by the Phoenicians, more than 2500 years ago. Today we’d like to tell you about two destinations in Western Sicily: Pantelleria, a little island in the Trapani district, and Marsala, an ancient and elegant city in the Trapani area as well. Picture of the coast of Pantelleria by Luca Volpi and available on the Wikipedia page about Pantelleria. The volcanic island of Pantelleria is 110 km far from the Trapani seashore, and just 70 km far from the African coast. To spend a perfect holiday we suggest you to choose one of the best villas in Sicily to rent where you’ll be able to see the African land during sunset. The landscape of this tiny little island is quite impressive and unusual, with natural elements such as “faraglioni” (huge rocks in the middle of the sea), bays and lava flows mixed with handmade objects and structures – dry-stone walls, peculiar gardens protecting citrus plants from the strong wind that always blow here (“giardini panteschi”), and of course “dammusi“, typical houses of the island with white dome roofs. Wonderful beaches with a very clean water and a rich seabed are available in any corner of the island; anyway, you really should not forget to visit the natural lake “Specchio di Venere” (Venus Mirror). Thermal waters lying on a former volcanic crater, warm and rich in sulfur: a wonderful place for your natural relax. 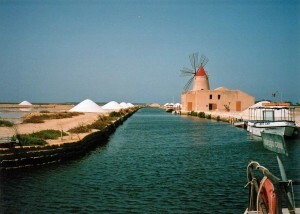 The island is also rich in flora and fauna; typical products are capers, oil and a rare variety of red lentils, as well as a peculiar variety of grapes – “zibibbo“. Don’t forget to taste the typical “passito di Pantelleria“, a dessert wine, and some of the local dishes coming from an islamic tradition! Back on the mainland, on the western coast really not far from Trapani, lies the place where Garibaldi landed back in 1860 and started his march throughout the whole country – a march that ended up in the unification of Italy, in 1861. Marsala was born on the ruins of an ancient punic city, Lilybaeum: this is why you may hear someone calling its inhabitants “lilibetani” together with “marsalesi”. Here you’ll have plenty of chances to taste the typical dessert wine that made this city so famous worldwide. Marsala is such a romantic place where you can enjoy your glass of Marsala wine in one of the most beautiful holiday villa in Sicily by Scent of Sicily. And don’t forget to taste other typical products and the local cuisine (cous cous, fresh fish, almond pastry…). This elegant city is rich in prestigious baroque buildings in its historical centre, and the museum “Biagio Anselmi” houses a lot of interesting archaeological finds – do not miss the original example of Carthaginian ship, that was used right during the battle of Aegates Islands. 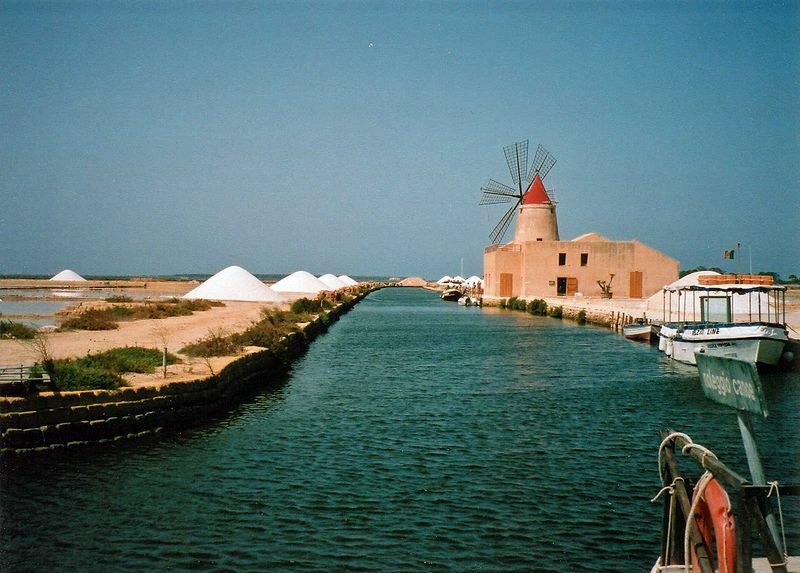 There’s much more to discover around Marsala: its salt pans with romantic windmills, the Stagnone islands Nature Reserve and Lagoon, and of course the ancient island of Mothia, a former Phoenician town: ferries are available right at the port of Marsala.